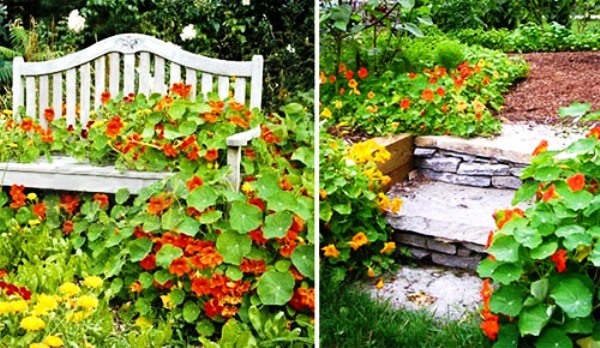 To find the application for this charming plant is not difficult, but because nasturtium in landscape design is not uncommon today. After all, with her help, the florist can realize almost any idea. 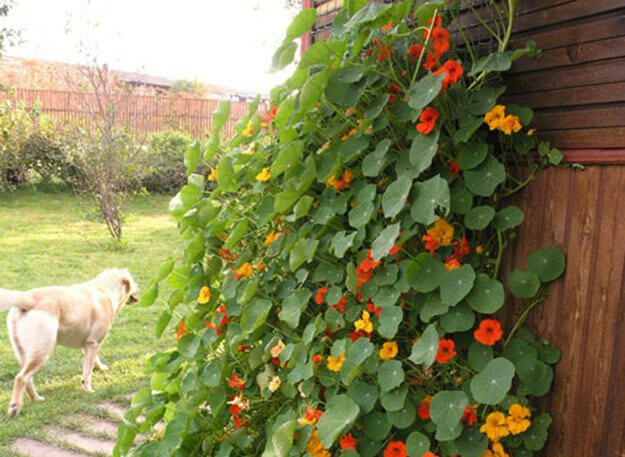 The height of Garden Nasturtium about 30 cm. Ampelnoe groundcover. Blooms in June-August orange or yellow, up to 5 cm in diameter, flowers. 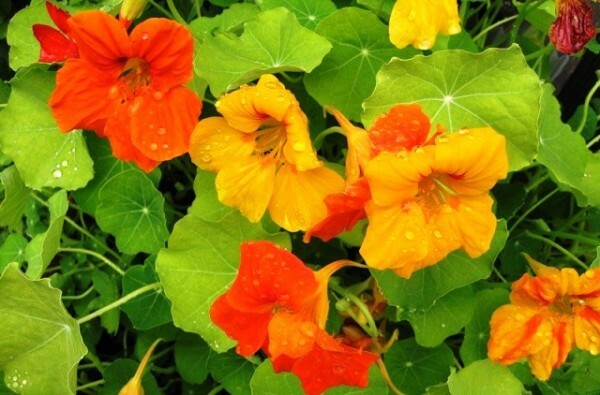 Prefers the sun and well drained, moderately moist, fertile soils without excess nitrogen and freshly applied organic fertilizers.